The Falsies® Push Up Drama™ Washable Mascara is rated 3.6 out of 5 by 369. Step 1. Draw the Push Up Cup brush from root to tip of lashes. Step 2. Repeat until desired lift and volume are achieved. Step 3. Do not let mascara dry in between coats. Step 4. Easily remove mascara with Maybelline Expert Eyes® 100% Oil-Free Eye Makeup Remover. After-hours glamour with an edge. The weather may be frosty, but you'll bring the heat in winter whites, cool metallics, and red-hot lips. It starts with cup-shaped bristles and ends with over-the-top lashes. With one sweep up you instantly push up - more volume, more lift, more drama. Now you're ready to make an entrance. Wallflower you are not. With lashes pushed to the limit and a look to match, you own the room and you know it. It's not a party until you're there. With dramatic lashes leading the way, you'll be turning heads left and right. When it comes to dramatic volume, the sky is the limit. Go ahead, push it up. Who says you can't have bold lips and dramatic eyes? When you push it up it's the perfect pairing. Traffic stopping lashes and sizzling style. It's a look and an attitude you wear day and night that you and everyone else, can't get enough of. Get the drama you've always dreamed of with these Push Up Drama lash looks. Rated 5 out of 5 by ally288 from I remember the day I seen this mascara in a commercial and I thought to myself I have to have this product . I went to Walmart and purchased it . First of all this mascara literally smells like CHOCOLATE it did the job . Rated 3 out of 5 by anabelladmv from If you are interested in getting this one, go for the waterproof one! This one wont get you the lift you need. It is definitely not a bad mascara but the waterproof version works better. Hey I bought a push-up drama and was really excited to use it but only after 14 days it's dried up and now I am unable to use it. Please give me some suggestions that how can I use it again. I am really disappointed. I love Falsies PushUp mascara, but have had 7+ tubes break halfway through the tube. The seal that removes excess mascara separates and gets pushed to the bottom, making it unusable. Has anyone else reported this? I can't keep buying faulty products. Hi there! We are so sorry to hear about your experience with our mascara! We'd love to help. Please call our toll free number 800-944-0730 M-F 9a-5:30p ET and provide the reference #03896469. We look forward to hearing from you! 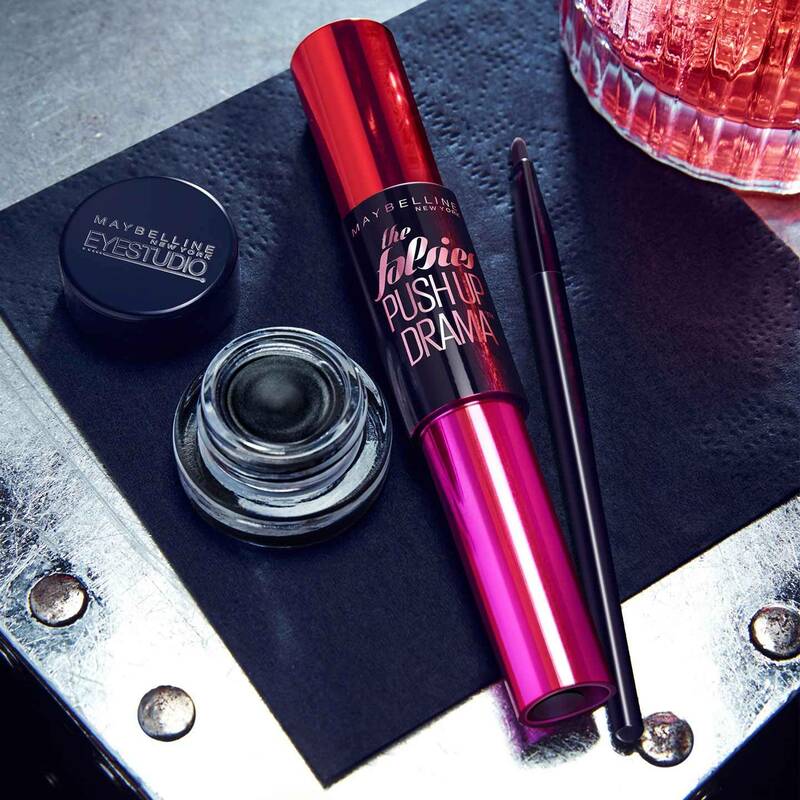 Hi Marta, The Falsies Push Up Drama Mascara is available in a waterproof formula. The term hypoallergenic means that an ingredient is less likely to cause an allergic reaction. However, a small percentage of the population may be sensitive to certain ingredients. Maybelline does not make any specific claims of hypoallergencity, although we believe our product can be safely used by most people. Maybelline has made every effort to eliminate from its products as many of the known common sensitizing ingredients as possible. This mascara is ophthalmologist tested and suitable for contact lens wearers. We hope this helps!